Unfortunately, most of the games I made as a teenager are long gone. Back then, I didn't think of backing up my hard drive. I also had no idea how much I would come to appreciate my teenage creations. A few games have survived though. I found them on an old website that still hosts a bunch of old Game Maker games. The games only play on Mircosoft XP, so unless you really, really need to upgrade your OS, or you're dedicated enough to install a virtual machine, you'll not be able to play them. Contact me if you want to give it a try, I'll send you the files. This was a pretty cool snowboard game with an extraordinarily lame name. The player rides down a slope, tries to avoid various obsticles and, jumps and performs in-air tricks for speed boosts. The game features 3 rather different levels, with obsticles such as ever greens, street signs and snowmen. This was my attempt at a tower defence game. 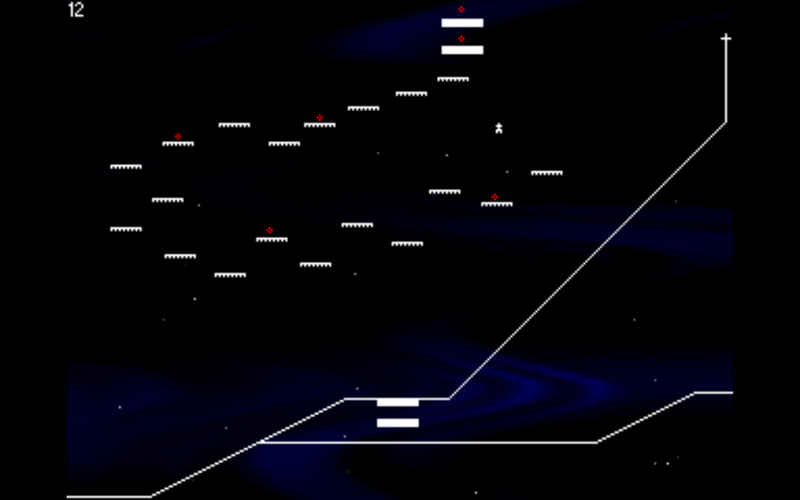 The game has a day/night cycle: At day you place towers and walls in order defened the big red heart at the right side of the screen, at night a number of enemies are spawned at the left side. 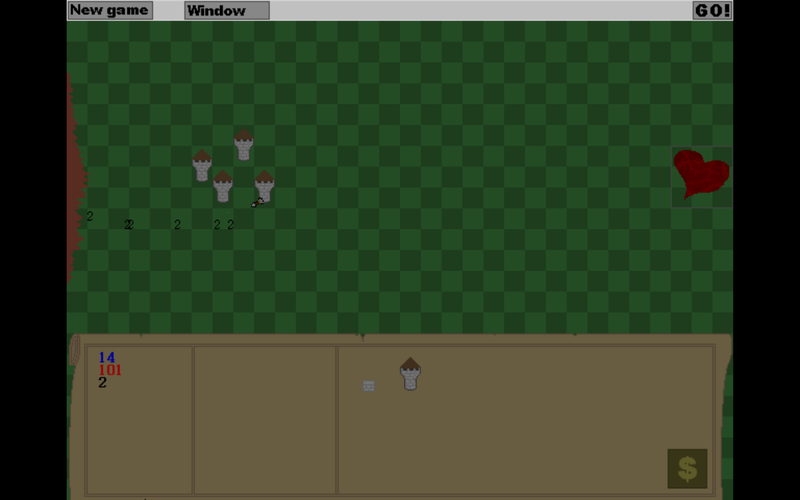 I can't remember how I built the path finding for the game, but it seems to work pretty well. This was a simple board game. 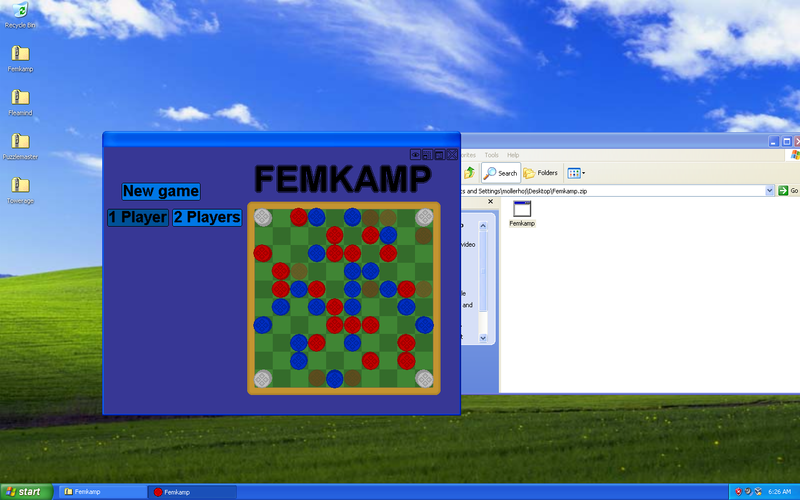 The two players take turns putting discs on the tiles on the board. The first player to achieve 5 adjacent discs win the game. The catch is that you can only place your disc in a number of randomly selected tiles each turn. So basically, the player has to choose between the best of 7 different disc placements. As far as I can remember, the AI does not cheat, but uses simple heuristics to choose what position to put the discs in. I was supposed to be a violent action platformer, but I guess I got tired of it along the way. This was a minimalistic platform game in which you control a tiny character (5 pixels tall, 3 wide). The objective is to pick up all the small red pellets on every screen. The controls are honestly quite slippery, and it makes the game extremely difficult. This was classic riddle game with 30 unique levels. 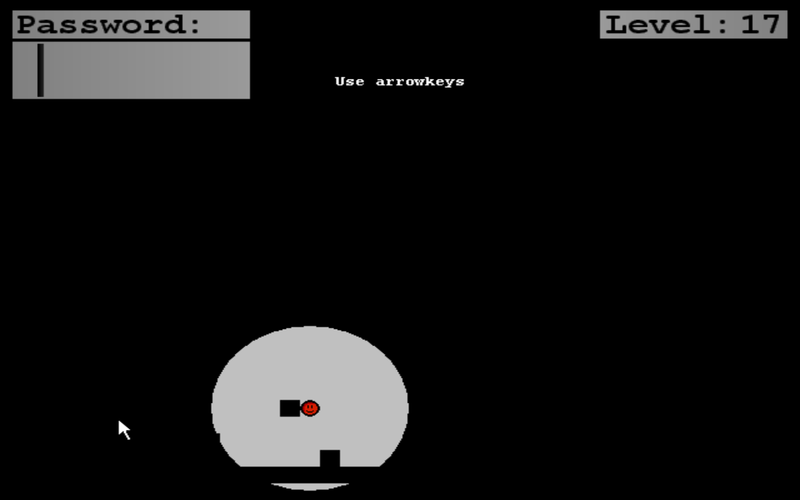 In each level you are challenged to figure out a password and enter it in the box in the top left corner. It got quite popular on the forum I posted it on back in the day - People spent a lot of time sharing trick and hints to help oneanother solve the puzzles. Anyways, that's all the games I could find. I've made a bunch of other games, but unfortunately they're long gone now.